Just as Julie did, I inked the front of the stencil with Shaded Lilac and just a bit of Dusty Concord distress inks, then spritzed it lightly and layed it on a piece of watercolor paper. Shaded lilac is such a lovely color, a nice periwinkle or lavender blue color. I quickly blotted anything that was too oozy, removed the stencil and then let it dry, after which I edged the whole panel with Shaded Lilac and attached it to my card base. Next I stamped and white embossed the roses and leaves from The Big, the Bold, and Extras, and then using some watered-down distress inks, painted in the colors (shaded lilac, peeled paint and shabby shutters), and then cut them out. The shaded lilac was reallllly light, so I went back in while the roses were still wet and overstamped the solid image in the set that matches in shaded lilac - much better, and I still get that mottled, watercolor look on them. After that it was just a matter of finding this grosgrain ribbon that matches perfectly, and teaming it up with a PTI die-cut tiny tag, stamped with little words from The Big, The Bold, and the Happy. That little heart is part of the die; it pops out, so I inked it also with shaded lilac straight from the pad and inserted it back in. After putting everything together, I though it needed just a little sparkle, so I added these dusty pink/lavendar sequins that I think are antiques from my friend Carol. Using some washi tape, I masked off my edges, then stamped Old Letter Writing for my background in a grey ink. Next came this flower from Cherish Yesterday, inked in shaded lilac distress ink and a mowed lawn distress marker. I removed my masking and added my sentiment from the Remember set, stamped in VersaFine onyx black ink. Very simply done, but I like the results! 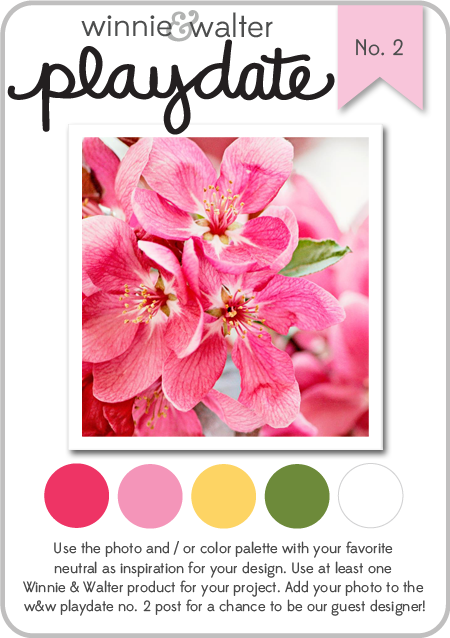 When I visited Rosemary's blog recently, she made a beautiful card using colors from the current Colour Me challenge. I love blues and greens together, and the addition of the daffodil and chocolate is lovely! I was in the mood to use my washi tapes again, so I pulled out several of them in the colors featured and laid them out on a piece of cardstock. Then I used the largest of Simon's Pointed Feathers dies to cut out lots of feathers. I tied 3 of them together with some Doodlebug twine, and added a sentiment from The Craft's Meow Dream Catcher, along with sequins from Lawn Fawn. Did you know that the Simon Says Stamp Wednesday Challenge Blog is looking for new members for their design team? Run, don't walk, HERE, where you'll find all the details, and throw your name in the hat! The call is open until 9:00 am on Tuesday, July 1. Good luck to us all! This is the BEST team in the land! 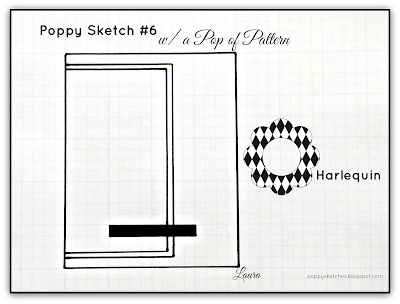 Now, back to my regular programming - please scroll down 1 post or click HERE to see my latest card. Donna is one of my favorite card makers, and does magic with distress inks, so I couldn't wait to play, especially as I just picked up this fun Darice embossing folder called Bold Daisy. To me it looks like Gerbera Daisies, one of my favorite summer flowers, and I thought that Donna's colors would be perfect for it. So I embossed it on thick white cardstock, then went in with my sponge tool and picked raspberry, spiced marmalade, and mustard seed distress inks and colored the flowers. After attaching that panel to my pink card base, I die-cut a Simon small Hello die from gold foil paper and then added some gold sequins to it. Really fast and easy, and I love the bright summery results. Thanks for visiting today - have a great weekend! When I saw the current challenge at A Blog Named Hero, I just had to play - there is just something so special and fun about the Bokeh effect! So I pulled out my Hero Arts stamps and looked for some circle shapes. I ended up using the reverse of several clear sets (Many Dots and Mix & Match), along with just about every Hero Arts blue and pool ink I have, and Green Hills and Mint Julep. After stamping the circles, I added some Diamond Stickles to a few of the smaller circles and a mix of clear, aqua, blue and green sequins. My sentiment is from Winnie & Walter's The Big, the Bold, and You set. Simon Says ........... Anything Goes! Have you heard about our Design Team call? Please click HERE for details! It's the last Wednesday of the month, and that means Anything Goes at the Simon Says Stamp Wednesday Challenge! This week the design team are using American Crafts products; they make a great variety of items, so you'll see lots of fun ideas this week by my teamies! I chose their Amy Tangerine Plus One 6" papers, and challenged myself to make 2 cards using only that pad with minimal embellishments. My favorite paper in this pad is this black and white floral one with the smudges of color here and there. So I framed it up with some of the solids in the pad, gave it a wonky trim, and added it to the polka dot from the pad that I used as my background. There are also a few pages in the pad with sentiments like this one, so I just framed it with black and added it, along with a scattering of enamel dots to match the colors. And for this card, I started with a black and white chevron paper, then cut some of the others into strips and paper-pieced them to it on 1 side only, alternating colors and black and white patterns. That finished panel was then trimmed as you see it and attached to a white card base. I used another of the sentiments from the pad, this time framed in pink, and added some Hero Arts Diamond Gemstones to its left - they give off all kinds of kaleidoscopic colors, perfect for this card! Okay, now it's your turn! There's another $50.00 gift voucher for the random winner, to spend as you like at our fabulous Simon Says Stamp Store! I'm still playing with Simon's new Partial Cut Flowers dies, and was inspired by the colors of summer. I decided to use this rounded flower that comes in 2 sizes and make a color-block card. I chose summery colors from my stash of 12" BoBunny double dots papers, cut them into a postage stamp square, then partially cut out the larger of the flowers from each center. Separately I cut out the smaller version of the same flower, and trimmed it from its background, then glued it to the center of each flower and added a Doodlebug Sprinkle to match. My sentiment is from Verve's Bloom & Grow set. And for this one, I chose the largest of the dies and cut out 3 of them in a row on a white panel, adding bright gold Sprinkles to each center, then attached the panel to a yellow card base that I had embossed with a Sizzix Floral Flourishes embossing folder. My sentiment is from a Technique Tuesday Ali Edwards set called Bring on the Sun. Hope these help to brighten your day. I'll see you tomorrow with my Simon Says Stamp Wednesday Challenge blog post. Thanks for stopping by! Playing today with my new Simon Butterfly Drift die. I pulled out an older collection from BoBunny called Little Miss and used only those papers to make 2 cards. The sentiment here is actually from a Hero Arts Christmas set, Greatest Gift. I popped up the 3 largest butterflies. This one uses a favorite sentiment from Technique Tuesday, Ali Edward's Simply You. This card really shows off the lovely layout of this die; I'm sure I'll be using it for all kinds of occasions! I hope we're all off to a great week - thanks for visiting today! Just playing today, with some gorgeous papers from Simon's April Card Kit, along with the largest flower from their Partial Cut Flowers dies. I love how the black makes these bright colors pop, and then adding the bias stripe takes it up another notch! All papers are from a Simple Stories DIY Boutique paper pad, the sentiment from Simon's Thinking of You stamp set, and the flowers are the largest of their Partial Cut Flowers dies. I centered them with a Doodlebug enamel dot. I cut the flowers from the floral panel and trimmed off the right side of it, then die-cut more of the flowers in the solid colors and hand-cut them away so I could glue them to the floral panel. In hindsight, I could have just hand trimmed the solids and placed them over a plain floral panel, and the effect would have been the same. I'll have to keep practicing with this set to use it to its full advantage, but in the meantime, the individual flowers are still pleasing. Thanks for visiting today. I hope you enjoy the rest of your Sunday! Looking at the photo, I saw all the gold and decided to make an anniversary card. I haven't used this lovely ornate butterfly in a very long time, and I love how it looks on vellum, so delicate. I'll be entering this into both the CASE this Sketch challenge and the Fusion challenge. Thanks for stopping by! I used these Avery Elle sets: Thanks a Bunch, Petals & Stems, and Oh Happy Day, along with Butter Bar, Green Hills, and VersaFine onyx black ink. I placed my stamped panel on a yellow card base and added a simple punched monarch butterfly. It's such a dreary day here today, I guess I needed to make my own sunshine! Hope it's better where you are! Thanks for visiting! Simon Says.........You Gotta Have Friends! 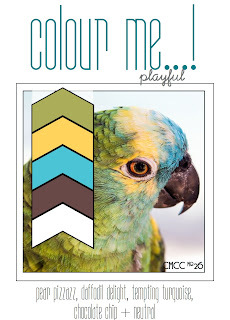 It's time for a new challenge over at the Simon Says Stamp Wednesday Challenge Blog! This week we've chosen a fun theme: You've Gotta Have Friends! And the design team are all using stamps from Art Impressions. Many thanks to the kind and generous folks at Art Impressions, who provided the team with stamps for today. My stamp is called Coffee BFFs. Because the main image takes up almost the whole front of a card, I just decided to frame it with some fun stripes and then color it with markers that matched the colors in the stripe. The sentiment is one of 2 that is included in the set. Be sure to visit the Simon Says Stamp Wednesday blog to see what my teamies did with more fun stamps from this company; there are some hilarious images and sentiments! Now it's your turn! As always, there's a $50.00 gift voucher at the Simon Says Stamp store up for grabs for the random winner of our challenge! 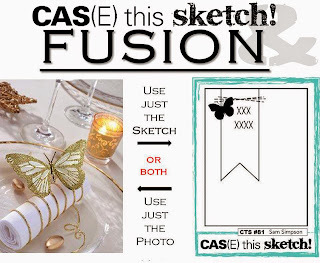 AND, this week there's an additional prize from Art Impressions Stamps! Visit our Wednesday Blog for details. Our muse this week at the MUSE challenge is Therese Calvird, and what a beauty she shared with us!! I started by choosing this 12" My Mind's Eye design paper (from their Collectable Notable line), which to me sings summer, and then from that, 3 solids, a gold, a bright orange (Simon's Orange Peel), and a dark aqua cardstock (Simon's Audrey Blue). I cut 4 hellos (Simon's Small Hello die) from each of the solid cardstocks and glued them together, then after assembling my other elements and placing them where I wanted them on the printed background, I carefully marked where the 3 hellos would appear and die-cut them from the background, being sure to keep all those teensy-tiny negatives to place back into the design as it all went back together again. The big daisy is made of some scraps of PTI's Bloom Builders #3, centered with a big brad from October Afternoon's Farm Girl collection, and my sentiment is from Hero Arts Heyday Sentiments. I love how this turned out, but I'm not so sure I'd make it again! I chose Hero Arts stamps that already had a dot in the design; leaves from their Be Yourself set, stamped in Green Hills ink and the flowers are 3 Dotted Flowers, stamped on Doodlebug petite prints Bubblegum Dot in VersaMark ink and embossed in white. Even my Basic Grey brad is dotted! I added a group of 3 stamped dots from Simon's Flower Friend set, stamped in Bubble Gum ink, and my sentiment uses Winnie and Walter's The Big, the Bold, and the Happy, and The Big, the Bold and You sets, stamped in VersaFine Onyx Black ink. A scramble is a challenge that we do about every 2 weeks at the Flickr group. We get a theme, and then have 90 minutes to execute it, photograph it, and post it at the group, using at least 1 Hero Arts stamp. And since I used some Winnie & Walter stamps, I'll once again enter this into their Playdate #2 challenge. The July Card Kit from Simon Says Stamp is being unveiled today, and I have 2 cards for you using the stamps, papers, and fun stickers in it! For this first card I used a combination of the stamps and the papers. The prints on the papers are all very small scale, so they're perfect to stamp these envelopes on! I used the Simon full-sized Lipstick Red ink along with my own navy ink to stamp the sentiment, hearts, and the fun stripe, which I did in 2 steps, first stamping it in red, then reinking in navy and moving it slightly to the right for the 2nd stamping. And here I used 2 of the fun puffy stickers included in the kit, and lots of the papers again. Just 1 stamp here, the hello circle, again stamped in Lipstick Red. As always, there are so many elements I haven't even touched yet! There's a red chevron washi tape, red gem stars, and as always, some cardstock to match the papers from Pink Paislee's Pen Pal collection. Here's the kit, called "Sending Happy Mail". I trimmed my argyle panel, framed it up in faded jeans and peeled paint papers, then added it to the card base, following the sketch. There seemed to me to be way too much white space to the right, until I added that "bow tie" ribbon, which served to somehow pull everything together! Thanks for visiting today, and for your kind comments. My recycled item is hand-dyed coffee filters, from my friend Mary Ann. I cut 3 layers of 2 sizes of flower dies, then secured them together with a brad and fluffed them. I used to have a poppy that looked just like this! 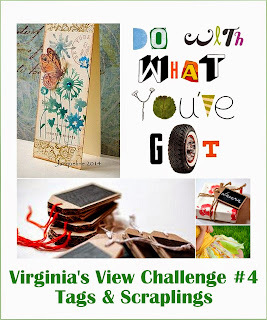 Thanks, Virginia, for a fun challenge - so glad to put these coffee filters to a fun use! It's Wednesday and another challenge at the Simon Says Stamp Wednesday challenge! Our theme this week is Stencil It. There are so many beautiful stencils out there now, so I'll really enjoy seeing your take on the challenge this week! The design team and guest designer Jocelyn Olson are using stencils made by The Crafter's Workshop. My first card uses the stencil called Mini Mod Checkerboard, but to me it looks like a basket weave, and I envisioned a white-washed basket. So I started with an Audrey Blue card base, and used a picket fence distress marker to place the design on it, in a rough diagonal direction. Then I ran the whole thing through my Cuttlebug and embossed the motif also onto the card front. I just got this beautiful Memory Box Gorgeous Gardenia Outline die, and, after playing a bit with it, I decided to make it into a stained-glass look, using some pieces of previously-made polished stone pieces of cardstock. And to finish I used my current favorite sentiment stamp set, Winnie & Walter's The Big, the Bold, and the Happy. I also made a second card this week, using the Mini Flower Frenzy stencil and distress inks. I was inspired by a card by Julie Ebersole from the Stencil classes I took earlier this year at Online Card Class. Starting with a piece of heavy cardstock, I sponged picked raspberry, squeezed lemonade, and spiced marmalade distress inks through the stencil. That panel was then trimmed down to size and I reattached the stencil and ran it through my cuttlebug to dry emboss the pattern also. I have been unable to capture that effect with my photo, but it really adds a lovely subtle texture which you can feel. I liked Julie's idea of using black accents with these bright colors, so I followed suit, adding a strip of black washi tape, and a stamped and die-cut Hero Arts butterfly, (painted with picked raspberry ink watered down), along with my Paper Smooches sentiment embossed in white on black. After assembling everything, I added some Doodlebug sprinkles for more dimension. Now it's your turn! There's a $50.00 gift voucher up for grabs from the fantastic Simon Says Stamp store for the random winner of our challenge!